Hot on the heels of the Amass album, Ontal grace the crowd again with a special treat: A collection of ten tracks from their infamous vinyl only releases, selected club tunes (that actually appeared between 2014 and 2016), plus all-new remixes by label mates Geistform and New Frames, as well as greek producer Unhuman. 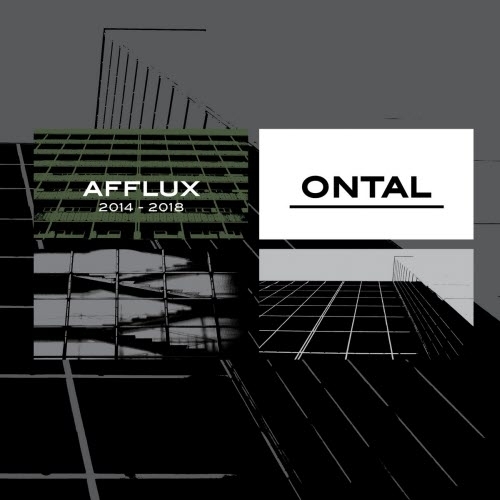 By its very nature, this is a display of Ontals mastery of rhythmic force, immediate and undiluted industrial techno the way its done and why it rules supreme. Afflux is a trip through the rather recent history of a style that is more present-day than any. The Afflux is a notably rough collection of tracks with a mission: Physical arousal by means of bulging beats and an unsettling omnipresence of noise! For the audience, Afflux 2014-2018 may serve as a rougher twin to Amass, as well as a treasury of highly potential club tunes, with the diversion provided by the exclusive remixes putting the icing on the cake proper!